D’Angel says no she is not pregnant. Earlier this month rumors ran wild claiming that Beenie Man’s ex-wife, D’Angel, is pregnant for Buju Banton’s son Markus Myrie. 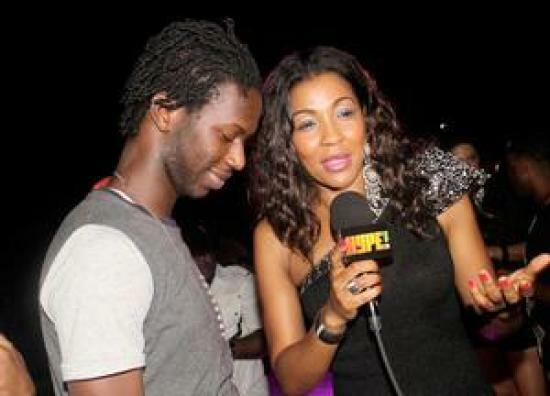 The dancehall diva has now stepped forward to address allegations that she and the producer is dating, as well as, being pregnant. “When I heard it, I was like seriously?” D’Angel said. On a serious not, I’m not pregnant. Me and Markus work together. We definitely have a relationship, but its a musical relationship. D’Angel said the pregnant rumors all started after she did a television interview in which her dress made her belly bigger than usual. “I did an interview on a certain television programme and I had on my dress and my belly looked bigger than usual, but at the end of the day I am not pregnant,” D’Angel continues. Markus has also denied the allegations calling them false. D’Angel has been busy in the studio working on new material with Markus Myrie. She also has a new video coming out in the coming weeks. so wah if dem a date. Nothing wrong with two adults dating. 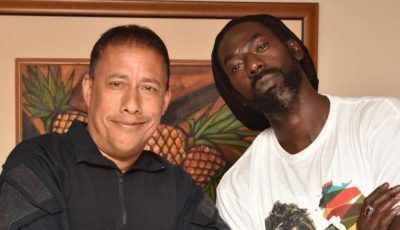 He’s the spitting image of Buju.